RANDOLPH, N.J., Sept. 10, 2012 -- On September 10, 2012, CRA-Z-ART® unveiled its brand-new ground breaking line of construction sets, LITE BRIX™ The Superlight Building System. 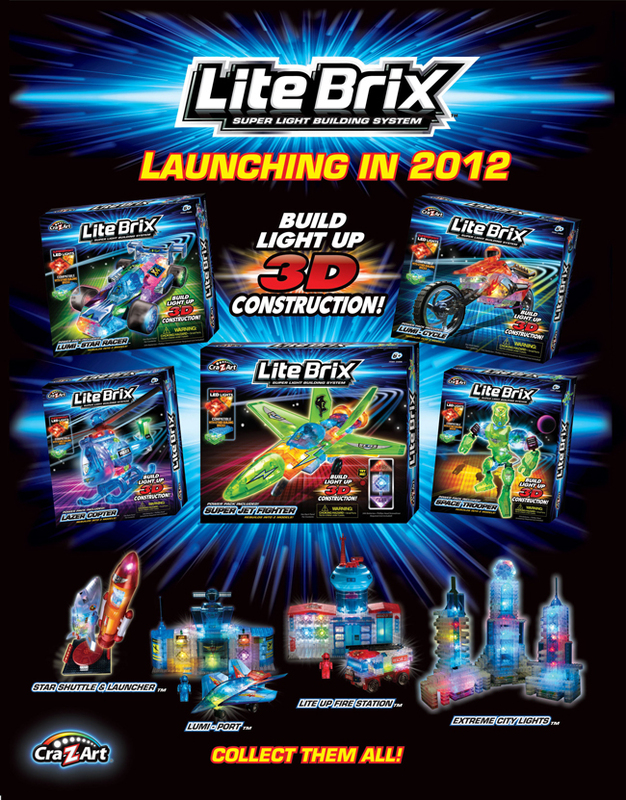 CRA-Z-ART's LITE BRIX™ line is an exciting new innovative building system that combines traditional brick building construction with the magic of light up bricks and connectors, allowing kids to "build with lights." Themes include: Robots, Helicopters, Race Cars, Jet Fighters, Motorcycles, Space Shuttles, Lumi-Port Airport, Fire Rescue and Extreme City Buildings. Each set comes with a battery power pack that attaches to the models.